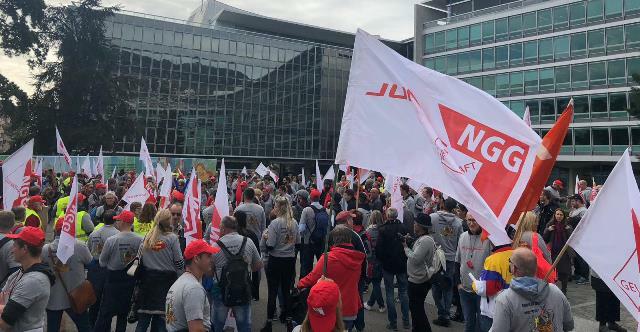 On 2 October, busses carrying a total of 400 Nestlé workers from across Germany travelled to Vevey, Switzerland for a mass protest at Nestlé headquarters. In recent months, Nestlé has announced the closure of its factory in Lüdwigsburg, which produces coffee substitutes and employs 107 workers; the closure of its quality assurance laboratory in Weiding, which analyses baby food products and employs 85 workers; the halting of production lines in Lüdinghausen (Maggi) and Biessenhofen (infant cereals) affecting 170 workers; and job cuts to the sales force and back office workers affecting another 200 workers. Furthermore, the company has launched an attack on collective agreements, demanding cut-backs on salaries and working conditions. At a meeting with representatives of Nestlé corporate human resources management, union representatives from the affected factories handed over petitions signed by 17,000 Nestlé workers and supporters in Germany. The protest was organized by their union, the German Food Workers Union, NGG, with assistance from the IUF and the Swiss union, UNIA. 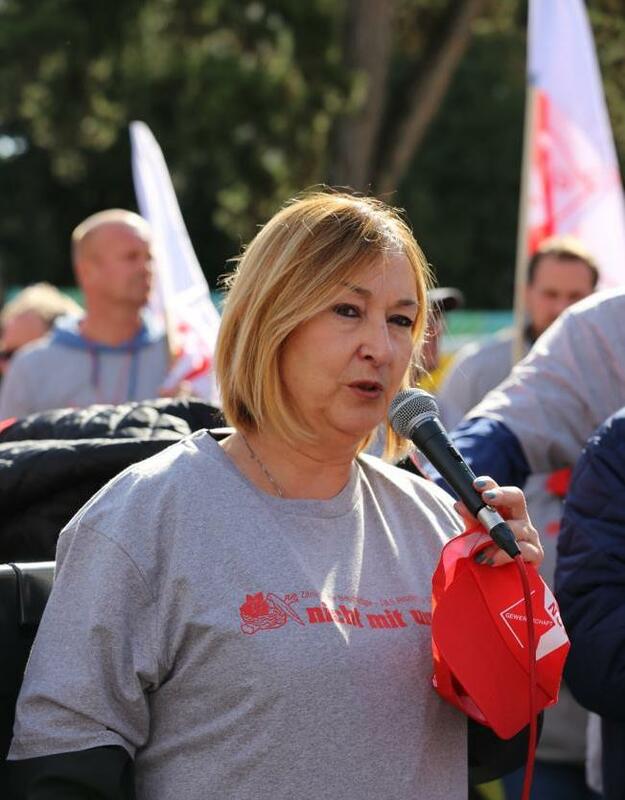 The Nestlé workers were joined by representatives from the IUF international secretariat and Latin American regional organization and unions representing Nestlé workers in Switzerland, France, the UK and Australia.